Rep. Charlie Rangel was recently found guilty of 11 counts of Congressional ethics violations. Although the House Ethics Committee rendered the verdict of the charges, the full House will determine his punishment. The House will proffer its punishment, but based on comments so far, it appears most likely that they will censure Rep. Rangel. What is censure? A censured Member must stand in the well of the House and listen to the public reading of the censure resolution. Yup… that’s it. The Member has to simply stand before his or her colleagues and listen to a statement expressing their displeasure. As a standard of punishment, it’s fairly tame, particularly if you consider the charges. One of Rep. Rangel’s violations was the failure to report income from a Dominican Republic condominium. A willful failure to report income is tax evasion, which is a criminal offense. Rep. Rangel has argued that he mistakenly forgot to report the income from his condo that rents for $500 per night. This may be true, but it’s ironic coming from the man who previously chaired the House Ways and Means Committee, which writes the U.S. tax laws. The House Ethics Committee has focused Rep. Rangel’s failure to report income and assets. However, no one seems interested in asking how Rep. Rangel accumulated his wealth. According to his amended financial disclosures, his net worth is $1-3 million. He lives in 2,500 square ft. rent-controlled, posh Harlem apartment, has a house in Washington D.C. has property in Sunny Isles, Florida, the condominium in the Dominican Republic and land in New Jersey. Mr. Rangel has been in the House of Representatives for 40 years and was recently elected to 21st term. According to his biography, he was in public law practice before being elected to the New York State Assembly in 1966, but didn’t make much money as a lawyer. Therefore, it appears that Mr. Rangel’s wealth was accumulated while serving as a U.S. Congressman. Mr. Rangel’s Congressional salary in 1970 was $42,500, and it’s currently $174,000. It’s a decent salary, but it’s not that much when you consider that Mr. Rangel is maintaining a residence in two of the most expensive real estate markets in the country – New York City and Washington, D.C. The rent on his Harlem apartment is nearly $4,000 per month. Understand that I’m not accusing Mr. Rangel of doing something illegal. Maybe he made some really great investments, inherited a pile of cash or his wife made a lot of money. A lifestyle audit is one of the tools the IRS uses to determine if someone is evading taxes; they compare your lifestyle with the money you have reportedly earned. The same inquiries could be applied to Mr. Rangel. How does a man who has never made more than $174,000 a year own and maintain four residences, have a sizeable investment portfolio and have a luxurious home full of antiques? Although I may appear to be singling out Rep. Rangel, I’m not. As a result of the ethics charges, there is a lot more information publicly available about Mr. Rangel. I believe a lot of the same questions could be asked of many other Members of Congress, from both political parties. This may be the reason that Mr. Rangel’s punishment will only consist of public embarrassment before his colleagues. 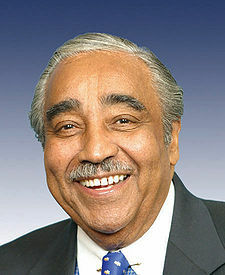 I believe that Charlie Rangel is the poster-child of what’s wrong with the culture of Congress. As a collective group, the Members seem much more interested in building their own kingdom of influence and wealth, than doing what’s right and best for our nation. It may be why recent polls show that 70-75% of Americans disapprove of the job Congress is doing. Voters may have expressed their dissatisfaction with Congress in the recent elections. While Members of Congress may be under a greater level of scrutiny, it’s going to take a lot more than one election cycle to change the culture of Congress. We must be vigilant in making sure that Congress is not living and operating under a different set of rules than the rest of the country.